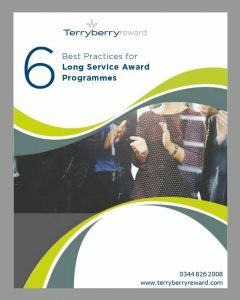 Most Long Service Award programmes launched in the last 2 years are recognising milestones earlier than 10 years. This number is double what it was 5 years ago, is your Long Service Award programme keeping up? One of the most common queries TerryberryReward receive is concerning which areas should UK organisations focus upon in-order to successfully recognise employee milestones in a meaningful way? Find out what UK companies are doing to impact thousands of employees annually for little or no increase in budget.